We fixed the RubyGems security vulnerability with today's stack upgrade. See the documentation for instructions on how to apply the changes to your Ruby environments. Note: This hotfix applies to all Engine Yard Gentoo stacks (stable-v2, stable-v3, stable-v4). We fixed the Node.js security vulnerability with today's stack upgrade. See the documentation for instructions on how to apply the changes to your Node.js environments. Note: This hotfix applies to the Engine Yard Gentoo (stable-v2) stack only. Allows Unicorn workers to be hard-restarted on deploy for apps that cannot handle the rolling restart. To enable this for your app, create a /data/APPNAME/shared/config/disable_unicorn_graceful_restart file; content of file doesn't matter. Fixes install issue with Passenger 2 app server due to Nginx version mismatch. Fixes issue with Nginx log rotation. Stops Nginx from running on non-application instances. 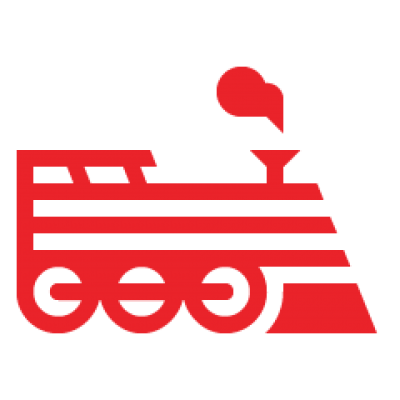 Important: Contact Engine Yard Support if you have intentionally turned on Nginx for utility or database instances before upgrading to this release. Fixes issue with New Relic add-on detection and configuration. We are delighted to announce that Engine Yard is adding support for running Java apps in the cloud, in addition to Ruby, PHP and Node.js apps. Developers will be able to deploy Java apps and services on an Engine Yard-curated stack, with component choices for JVM, application server, load balancer and database running on an Ubuntu­-based (12.04 LTS) Linux distribution. Our documentation will help you to deploy your first Java application on Engine Yard. If you have feature requests or questions, add them to the forums. Bumps PHP version to 5.4.20, which provides minor security updates and adds PHP Tidy module. Adds Early Access support for Rubinius 2.0.0-RC2 on this stack; uses Ruby language mode 1.8 and 1.9. Action: Try the 2.3.0 gem in a staging environment before you deploy to production. Check out Martin Emde's Deploying with engineyard 2.3 blog for the full details. New command ey init writes or updates an ey.yml configuration file to help users understand all the ey.yml options. ey init is recommended for all applications to provide extra documentation in ey.yml. New command ey servers -e env shows servers for a specified environment in a machine/user readable format. ey ssh accepts new options -t and –each. Experimental option -L is also supported. Default migrate command is now rake db:migrate --trace. Fixes symlinks to shared/config that incorrectly linked to nested resources due to find maxdepth. Adds --no-dev and --optimize-autoloader to default composer install command. Supports new ey.yml options: bundler, composer, and npm which can be set to true or false to enable or disable each dependency manager. Supports experimental ey.yml option: restart_groups: n. When set to a number n greater than 1, app servers are divided into n groups and each group is restarted serially. Aborts rollbacks if unexpected files are found in the /data/app/releases/ directory because they disrupt the ability to find the previous and latest releases. Internal: Accepts flags for git and archive strategies (--git and --archive) that are passed a URI. Internal: Changes the name of the Strategy class to Source. More information: The Engine Yard blog provides background information about the 2.x gem.